Counseling is available for Veterinary Medicine students only and there is no charge for the services provided. Free consultation and wellness services are available for students, house officers, faculty, and staff. Counseling services are private, confidential, and not shared with anyone unless an individual signs a release of information or when the counselor must comply with state/federal law around safety (see 'Confidentiality' below). The counseling office is located in 107E Magruder Hall. The location of this office is intended to help the CCVM community access services at their own convenience and ease. *Flexible scheduling may be accommodated ahead of time and may vary over breaks. 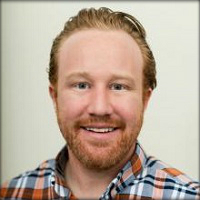 Dr. Alex Rowell is a Licensed Psychologist / Wellness Coordinator at Oregon State University’s Counseling and Psychological Services (CAPS) and the Carlson College of Veterinary Medicine (CCVM). He has a wide range of clinical/therapy experiences that include three different inpatient/outpatient hospitals, a non-profit organization, and four different college-counseling centers. His areas of interests include working with professional/graduate students, mood disorders, self-compassion, grief, mindfulness, burnout, gender awareness and education, and life transitions. He has been fortunate enough to present on the local, state, and national level on peripartum mental health, multicultural awareness, well-being and burnout in veterinary medicine, and couples transition to parenthood; he also teaches Mood Disorders to Psychiatric Residents at the local hospital. Currently, he works at Oregon State University’s CCVM providing veterinary medicine students with psychological services, wellness coaching, and health promotion outreaches to help combat the stigma of mental health disorders while at the same time promoting overall well-being. He practices from a Humanistic, Acceptance and Commitment Therapy, Cognitive Behavioral Therapy, and Self-Psychological perspective, which focuses on interpersonal interactions in the here and now and how they can be emphasized to help strengthen one's self-confidence/wellness and reduce current symptoms. "I am very excited to be joining OSU’s CCVM as a Counselor and Wellness Coordinator. The programs that will be provided are individual and group counseling for students; and wellness workshops, presentations, outreaches, and consultation services for students, house officers, faculty, and staff. My office is located in Magruder Hall 107E." OSU employees seeking services, please contact the Employee Assistance Program at 800-433-2320. Counseling services are available for students only. Consultation and wellness services are available for students, house officers, faculty, and staff. Staff and faculty who are concerned about the well-being of a student or colleague may come in for a consultation. Wellness appointments (i.e. 1:1 coaching sessions to maximize one’s well-being) will be available during the week with a wide range of dates and times to accommodate the availability of the CCVM community. During the year students, staff, and faculty can also request presentations for their departments, classes, or students during the academic year. This includes but not limited to workshops, seminars, and/or presentations. Counseling is confidential. In accordance with state and federal law as well as professional and ethical guidelines for mental health providers, we maintain confidential records of all contacts with clients. This means that no identifying information - written or otherwise - about your contact with CAPS/CCVM psychologist will be disclosed to anyone outside CAPS/The CCVM psychologist without your written authorization. This includes: students, faculty, or staff at CCVM, other academic departments, the registrar's office, student health services, and other campus entities; no one gets to know what you talk about (or even that you are coming here) unless you want them to know. There are some legal exceptions to this confidentiality; they rarely apply but we want you to know about them. If you are under the age of 18, please call for information about our confidentiality policy. What is the difference between counseling and wellness coaching?